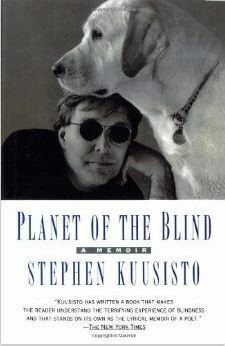 This Friday evening at 7:30 p.m., author and Colony Fellow Stephen Kuusisto will share stories of guide dogs and their people experiencing the world together. A New Hampshire native and Fulbright Scholar, Kuusisto has appeared on programs such as The Oprah Winfrey Show, Animal Planet, and National Public Radio. Entertainer and intellectual, poet and activist, Kuusisto could also be described as a surrealist comedian with a wise man’s heart. 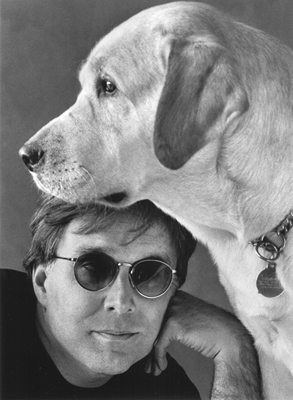 In the late 90s he served as Director of Student Services at Guiding Eyes for the Blind, a charitable nonprofit dedicated to training guide dogs for people with multiple disabilities. In 2000 he returned to his alma mater, the University of Iowa, to teach creative nonfiction at the graduate school. Today he directs the Renée Crown Honors Program at Syracuse University where he also holds the post of University Professor. 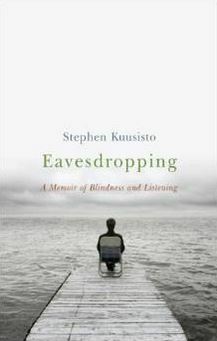 Returning to Peterborough after a hiatus of 18 years, Steve is the author of Planet of the Blind, a New York Times notable book, and Eavesdropping: A Memoir of Blindness and Listening. 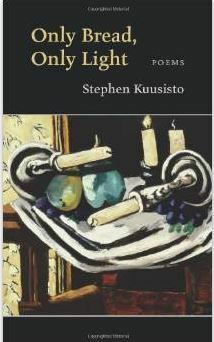 In his most recent book,Letters to Borges, published by Copper Canyon Press earlier this month, Kuusisto explores seeing, blindness and being through themes of travel, place, religion, music, art, and loneliness. In May he will be traveling for the U.S. State Department to discuss human rights and literature in Azerbaijan, Turkistan, and Kazakhstan. 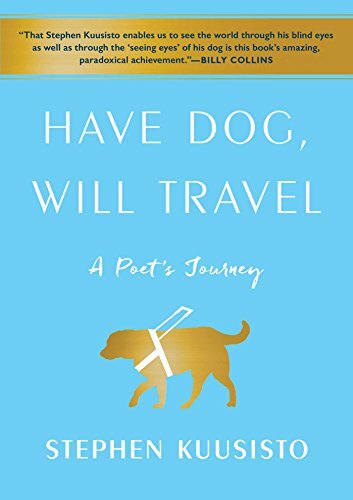 He is a fascinating character with a lot to say about a lot of things, and for Friday night the thematic link will be man’s best friend. Please spread the word to those who might be interested… I look forward to seeing you all at Bass Hall! PS- check out the Friday Arts program from WHYY in Philadelphia; this documentary short by filmmaker and MacDowell Fellow Michael O’Reilly… it tells the story of visual artist Marc Brodzik and the impact his MacDowell experience has had on the arc of his career. Jim Ferris, Laurie Clements Lambeth and Stephen Kuusisto will be reading from a selection of their poetry, followed by a reception and book signing, for all members of the S.U. community. While this event is geared specifically to raise and support awareness among undergraduates, everyone is welcomed to participate in this exciting set of opportunities. 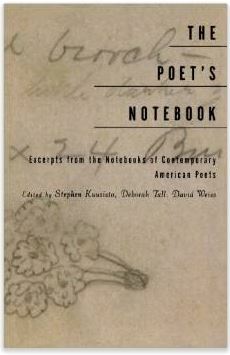 This event will feature works from Beauty is a Verb: The New Poetry of Disability (Cinco Puntos Press) and launch Letters to Borges (Copper Canyon Press), where “best-selling memoirist Stephen Kuusisto uses the themes of travel, place, religion, music, art, and loneliness to explore the relationship between seeing, blindness, and being. 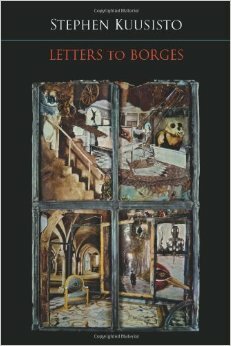 In poems addressed to Jorge Luis Borges—another poet who lived with blindness—Kuusisto leverages seeing as negative capability, creating intimacy with deep imagination and uncommon perceptions” (from http://www.stephenkuusisto.com). 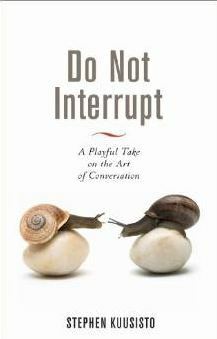 American Sign Language (ASL) interpretation will be provided during both the reading and the reception/book signing. Communication Access Realtime Translation (CART) will be provided during the reading. If you require accommodations or need information on parking for this event, please contact Radell Roberts at 443-4424 or rrober02@syr.edu. This event is made possible through the Co-Curricular Departmental Initiatives program within the Division of Student Affairs, and cosponsorship by the Disability Cultural Center, the Renée Crown University Honors Program, the Center on Human Policy, Disability Studies, the Burton Blatt Institute, the Dept. of Women’s and Gender Studies, the Lesbian, Gay, Bisexual, Transgender Resource Center, the Office of Multicultural Affairs, the Slutzker Center for International Services, the Creative Writing Program, the Disability Law and Policy Program, the Disability Student Union, the Beyond Compliance Coordinating Committee, and the Disability Law Society. As aspects of variance and diversity, disability cultures and identities enrich the tapestry of life on and off the SU campus.